Nothing truly beats a real tree. However, with 2 kids and 2 dogs in the house, artificial trees will have to do for my household. In fact, they more than just make-do. They can be pretty amazing if you ask me. Having lights already pre-strung, being less of a fire hazard, and its longevity (lasts more than 1 season) are among the top reasons why I like artificial trees. We’ve had our existing “faux-fabulous” tree for the past 9 years. If it wasn’t for a few strings of lights that no longer turn on, we would not be replacing it this year. 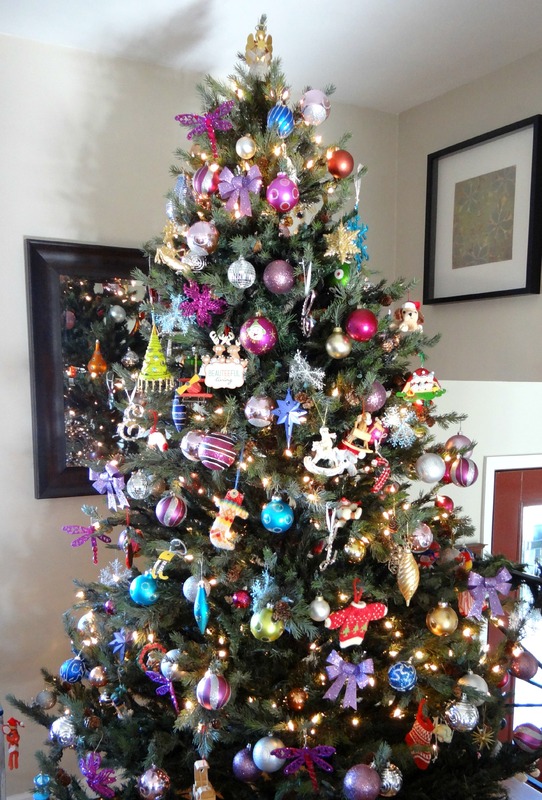 We purchased our 7.5 foot tree from Michael’s for approximately $300.00 (discounted price). Unless there’s a huge end-of-season clearance, I personally don’t think you can get a decent Pre-Lit tree for under $200.00. 1) Get a tree with branches made out of Polyethylene (PE) material. This material looks much more realistic than PVC needles that were popular when artificial trees first came out. How can you tell between PE and PVC material? Biggest difference is PE trees have the thickness and weight of a real tree branch. PE needles look more 3-dimensional instead of the flat appearance of PVC. Note: Our current tree has a combination of PE and PVC materials. It’s a great combo because having both makes the tree look fuller and more realistic. This is a BIGGIE. If my tree had lights that wouldn’t affect others in the string, I would not need to replace our beloved tree this year. We’ve tried replacing the bulbs but nothing has brought the string of lights back on. 3) Choose high-count branch tips. The more branch tips in a tree, the fuller the tree will look. I prefer 2,500 and above count. 4) Choose a tree with at least 600 mini-lights. I like my tree to be bright so the minimum number of lights I will consider is 600 count. LED lights are ideal but incandescent is still fine since you essentially only use the tree for a month per year. If incandescent, please be sure to follow Tip #2! 5) Choose the proper tree height. Because the height of our ceiling is 8 feet, I can only go with a 7.5 foot high tree. If you have high ceilings, by all means, choose a tall tree. Like everything else, scale is important. 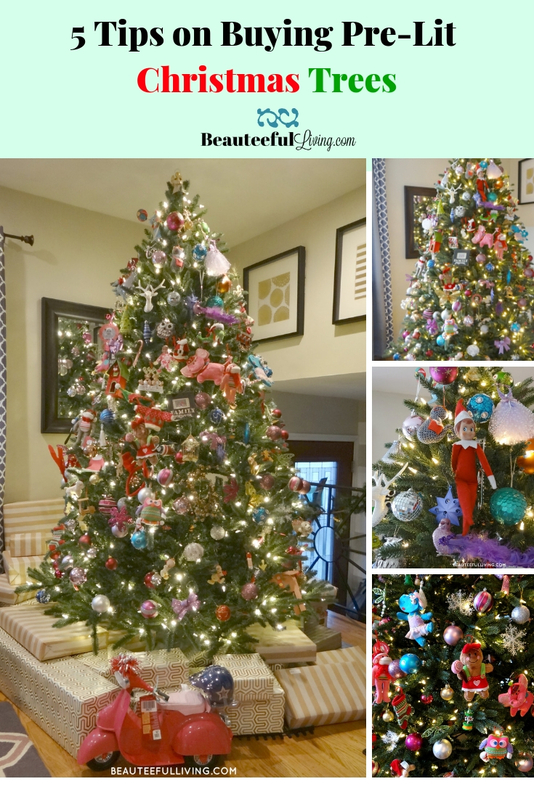 If you have a house with very high ceilings, any tree (unless bought specifically for kids) less than 7.5 feet will look too small for the space. 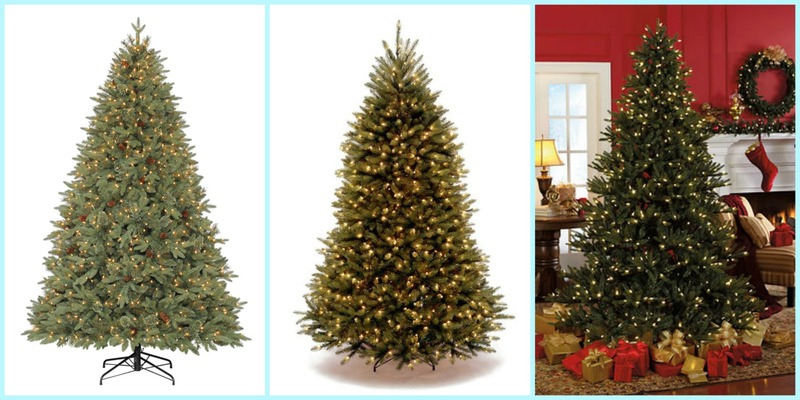 Based on the tips above and the price range between $200 – $400, I found these 3 top contenders for our next tree. These are great tips. I have only ever bought pre-lit ones because I don’t want the hassle of having to put the lights on myself. I just bought a garland with lights and when i got home they didn’t turn on! Then I learned its because one bulb was out.. the always on guarantee is a must!! I’m not so sure I have burnout protection in my lights. That makes me crazy when a string goes dead and ruins the whole thing! These tips look great. I have never owned a fake Christmas tree but this year we will be out of town for Christmas and I think I will have to break down and get my first one. I don’t see a point in getting a real tree to put up for the few days we will be here before we leave. I’d like to get a pre-lit. Hubby doesn’t like fake trees though… so it’s probably ain’t happenin’ 😉 They’re sure pretty (and easy!). I’m still using an old one that requires me to string the lights each year. I need to get with the times. Great tips. I have had the same fake tree for years…lol. I will probably have it until it just falls totally apart. These are great tips! My family and I like to do it the good ol’ fashioned way, hard and tangled. Lol. Wonderful tips ! We only use a fake Christmas trees because we all have Asthma but, I will never buy a pre- lit tree again! We have gone through several of them finally last year we cut every light off the tree it was a task. Maybe we just have bad luck with the pre-lit trees ! 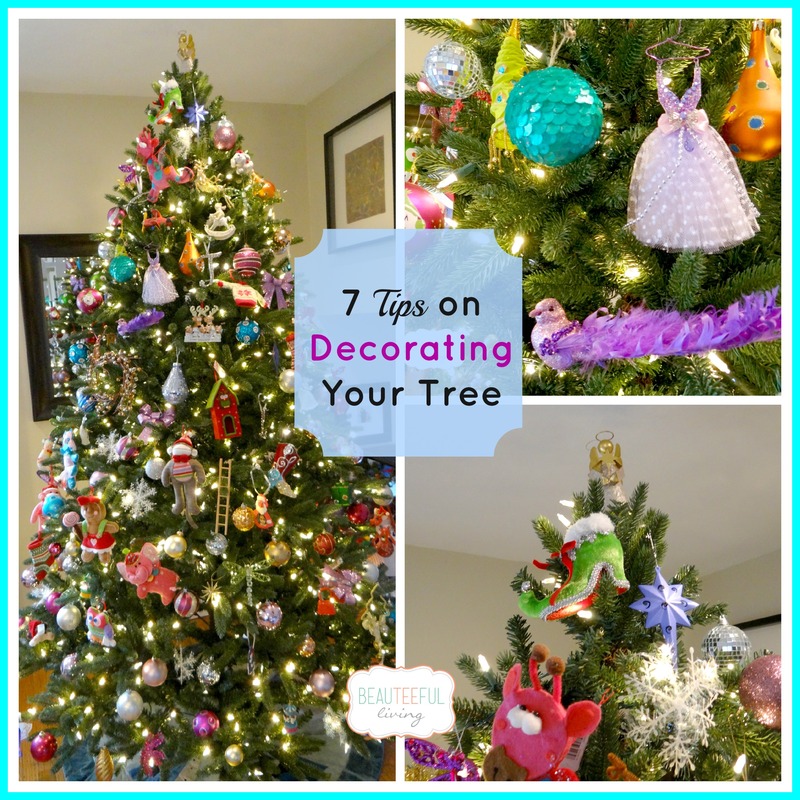 Wonderful tips to keep in mind when we get get our own place that has enough room for a big tree! Next time we buy an artificial tree I am thinking I will get a pre-lit one. Putting the lights on the tree is NOT my favorite part of the holiday! Very great tips! I prefer a real tree BUT if I need a pre-lit one in the future I’ll remember this! I just got a pre-lit tree a few years ago, and I won’t buy any other from now on. It’s so much easier to deal with, and it looks great! Coming from a family who never put up a tree of any kind, my wife and i went and purchased a pre lit tree.. We could have used these tips.. I love having a real, large Christmas tree but since we live in an apartment right now, it’s hard. Last year we bought a 4-ft tall pre-lit tree and it was so easy! Thanks for the tips. We may have to go this route this year with 3 dogs. Those are great tips. We get real trees for now, but I am very allergic so I don’t know how much longer I can do it. Great tips! We used to have an artificial tree. We switched to getting real ones but there are so many nice pre-lit artificial ones available now! Such good tips! We were thinking of buying a pre-lit tree this year. Thanks! I don’t think you’ll be disappointed.